Once upon a time, there was a bar across the street from my office called Beacon Street Tavern [BST]. BST had great food but a mediocre social scene, so when it shut down with signs saying a new place was coming, one couldn't help but be excited for an improvement in the neighborhood. 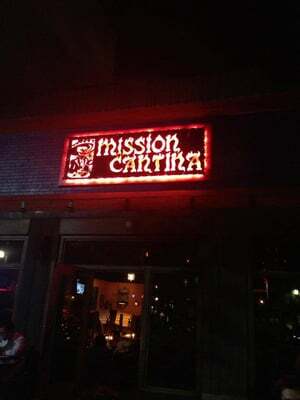 Two months later, Mission Cantina opens. Mission Cantina is a Mexican restaurant that was supposed to be an upgrade from BST. First of all, it's almost the same place except with tacky furniture, less lighting, and overpriced nachos. Secondly, the service is AWFUL. None of the staff seems to know what's up and I CANNOT believe you have to pay for stale chips. The only good thing about Mission so far is the beautiful new bar. This is an improvement from BST. I hope they make some serious improvements. For now, I'm heading to the Audobon after work.